This is exceptional! And indeed it is iconic of Houston. 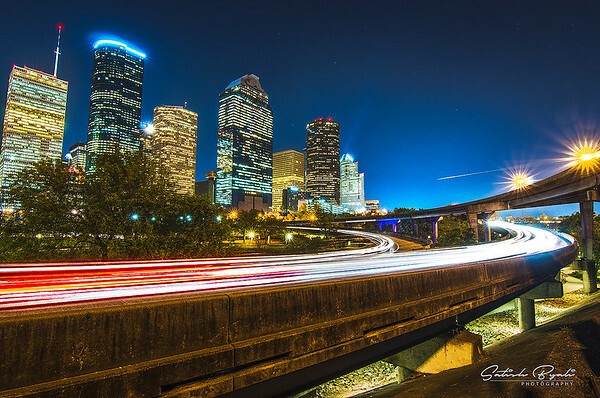 Awesome light trails and skyline!